AuttyW: Bellashoot And Their New App! Bellashoot And Their New App! Hello my Lovelies! I hope that you all are doing well! Unless you have been living under a rock, then you know exactly what Bellashoot is! Now, if you actually don't know what it is, what have you been doing?! 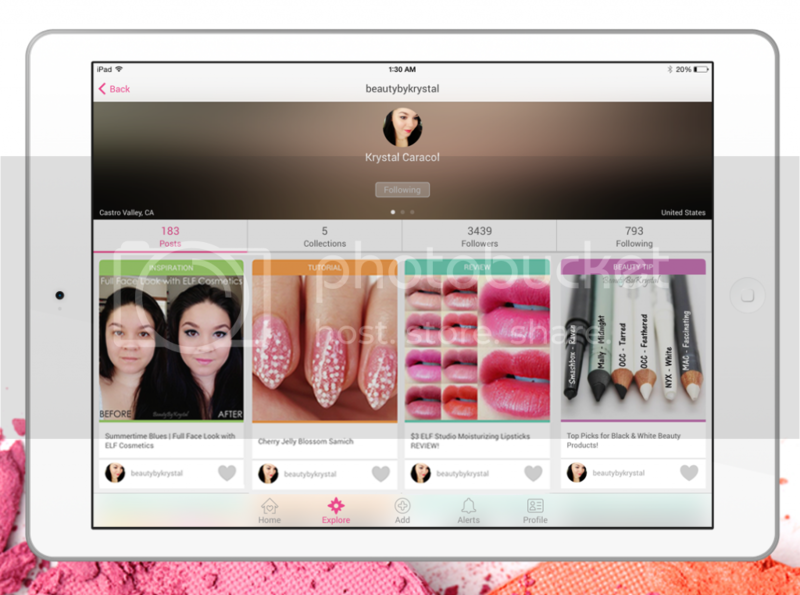 (I kid, I kid) Bellashoot, designed by beauty lovers for beauty lovers, is for anyone who loves makeup from a veteran makeup artist to a beauty enthusiast or a beauty newbie. 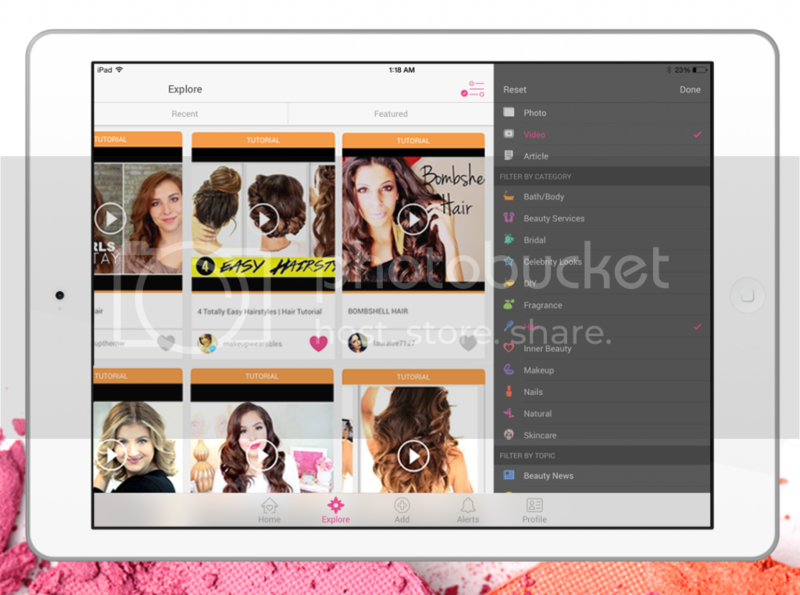 With mobile and tablet traffic accounting for over 70% of its visitors, Bellashoot views its app as a seamless way to help the modern woman with her daily beauty routine and needs! Now, I've been a pretty shoddy bellashooter since it came out, I have a measly 38 posts, but I am working to change that since they have launched their new app! Now unfortunately for us Android users, it's not available for us, but I do have an iPad so I was able to download the app and give it a try! It's pretty much just like using the website except it's more portable! What I love about this app is that it is exactly like being on the website, which is extremely handy. The front page of the app is everything you would see from all of those who you are following. You have all of the same features of the website, without having to carry around your computer because it is all hand held and on your iPhone or iPad. The camera functionality allows you to take product pictures, makeup selfies and create beauty tutorials to share with the community and tag the products that were used or mentioned. Instant notifications & tagging other users make it convenient to ask questions and get help from the community in real time. You can filter search by keywords. 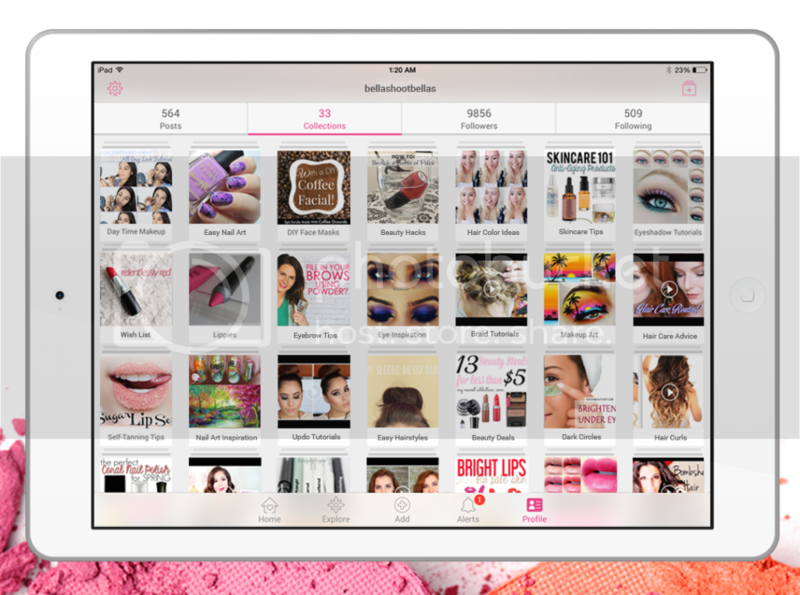 You can create lists to store all your favorite tutorials, beauty inspiration, hair inspiration and more. You can also see all of your notifications as well as you can browse people's profiles (as pictured below) Seriously, this app is just so handy for when you're stuck somewhere and you need something to look at besides instagram! Or if you're like me and you like to avoid awkward situations or strange people talking to you in public this app is a good escape! Okay, that may have been weird to say, but y'all can probably relate! You also have the full functionality of being able to view all of YOUR posts, collections as well as edit your profile. I mean really, is there any way this app can get better?! No, I don't think so it's perfect just the way it is! I find myself at night when I can't sleep scrolling through Bellashoot looking at all of the amazing posts that people are putting up. If you don't have this app I seriously thing that you need to get it now! It's free to download! Come on, what's better than free?! Now unfortunately like I said before, the app isn't available for Android as of yet. Hopefully it becomes available soon because I would love to put it on my phone! I can't wait to see you all there! If you have an account already leave it down in the comments so we can all follow you!